SSC Groin Lab drives the world renowned SSC Groin service which has been developed following years of research into athletic hip and groin pain in the SSC Sports Medicine Department. This research has developed the use of 3D biomechanics in the assessment and rehabilitation of athletic groin pain patients and has been published extensively including in the British Journal of Sports Medicine. 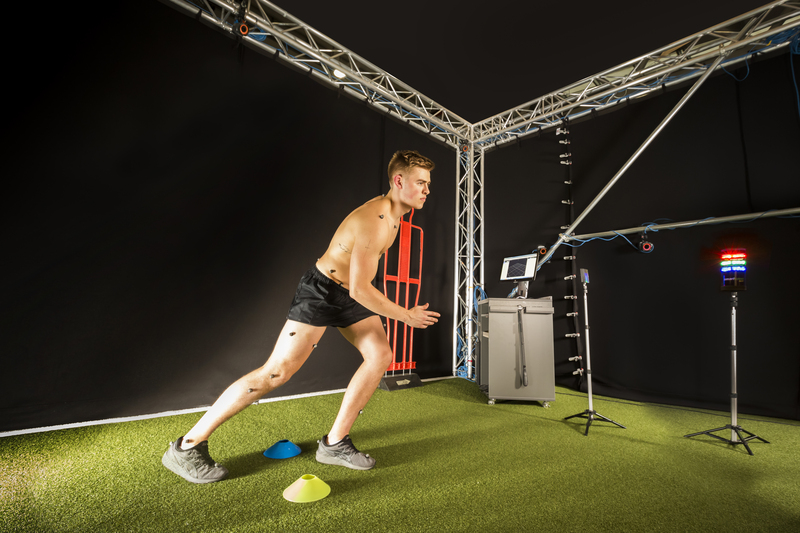 The testing takes place on initial assessment and involves 3D biomechanical analysis of jump and change of direction mechanics as well as linear running technique to develop a complete overview of all the factors contributing to the individual athletes presentation of groin pain. Re-assessment takes place when the athlete is ready to make a full painfree return to play to ensure all biomechanical deficits have been addressed. For more information click here.